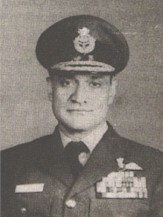 On 20 October 1962, Sqn Ldr Chandan Singh's An-12, on a flight from Chandigarh to Daulat Beg Oldi region came back hit by LMG (Light Machine Gun) fire by the Chinese. The undeclared war had begun. Our Army, in a desperate situation wanted five AMX-13 tanks to be airlifted to Chushul. It was a tall order, without precedent, but the Air Force took up the challenge. The problem was how to load the heavy machine into the An-12. However sturdy the aircraft the possibility existed that the tracks of the tank might tear up the flooring. Carpenters were set to work on a top priority basis to construct a floor covering with wooden planking cut to fit the shape of the floor exactly so that the planks would not move. The next question was whether the tail wheel area of the aircraft would stand up to the weight of the tank as it was driven in. It was too much of a risk to take. An answer was found to this also. A big, strong wooden arc was constructed to give support from below, and sand bags were piled between the wooden support and the body of the aircraft to act as shock absorbers. Having ensured that the aircraft could safely take its large, heavy yet delicate cargo the next step was to actually load it. A three man team from the Army worked with the Air Force men for each tank - a man to drive the tank, another to direct the driver to drive the tank very carefully straight into the aircraft and an overall supervisor. This Himalayan Odyssey was planned for 25 October. On the 24th the Army officer in charge said that one of these tank drivers had to go on leave and he would provide a substitute. The Air Force people were aghast, they had practiced this very difficult and delicate operation as a team and a new man may spell disaster! They simply could not afford to change the tank driver at the last moment. Apparently the young driver's home was in a village nearby and his wife was in labour. It was their first baby and she and the rest of his family had asked him to come home. The Air Force pleaded that he be sent home after the job was done. The driver was not changed. The job was done successfully. Five aircraft took off one after the other.  The second one after forty five minutes and the other three at a fifteen minute interval. When they returned , that driver was presented with a photograph of the baby and his wife beaming with happiness. The commanding officer had sent a doctor from the unit to the man's home to see that all went well and he brought back the photograph as testimony. The young man was then given leave to go home. 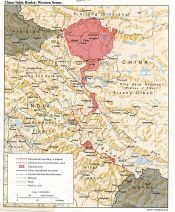 The Indian Army units were in the process of thinning out for the winter when the Chinese struck in force on 20 October 1962, soon after midnight. They overran the Chip chap river valley to the east of Daulat Beg Oldi by the afternoon and the garrisons had to retreat to Daulat Beg Oldi. On the 22nd the Chinese threatened to encircle Daulat Beg Oldi. Our garrison retreated to Thoise. The same day, Chushul airfield was threatened; 114 Infantry Brigade and 9 Field Company were there to defend it. They laid minefields on the surrounding heights of Lukung (24,000 Ft), Gurung Hill (25,500 Ft), Magger Hill (17,000 Ft) and Spanggur Gap (14,000 Ft) in the bitter cold. Prior to hostilities, the airstrip at Chushul was used at the leisurely pace of one aircraft a day. During the hostilities it was subjected to six An-12s and about eight packets daily and became unserviceable frequently. Its daily maintenance need rose to 4 tons of RC3 bitumen an item then it acute shortage… By November 13, 95 An-12s and 57 Packets had landed at Chushul airstrip, the PSP Sheets of which, protesting under the strain, kept disintegrating. At the same time, the siting of Avantipur and Chushul airstrips were undertaken, while the Thoise airstrip became operational when two Packets, carrying plant and machines landed successfully. From the morning of 18 November and on the 19th there was intense shelling by the Chinese on Chushul airfield and the surrounding hill-positions. 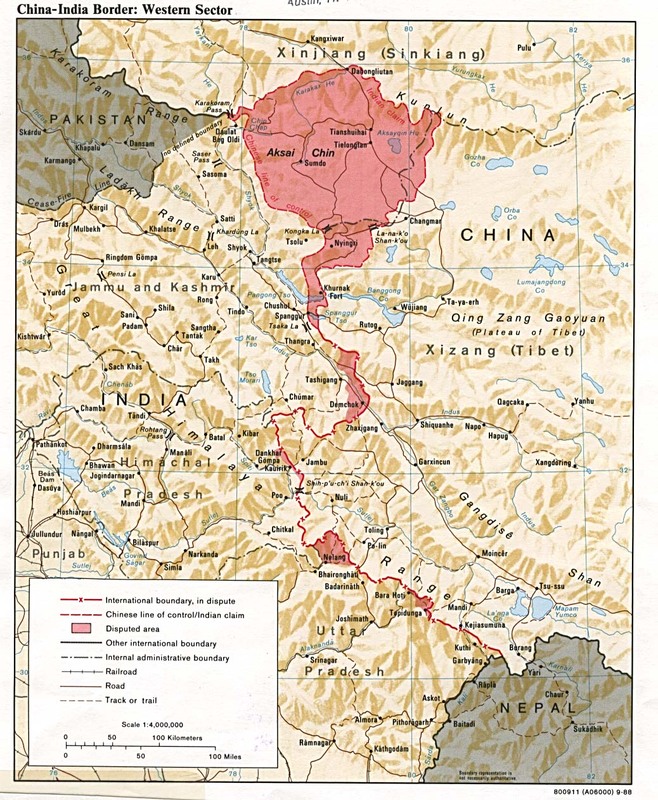 The Chinese were helped by the Aksai Chin road and the Rudok base close by. The anti-tank mine fileds, a troop of AMX tanks and our brave soldiers saved Chushul when the Chinese tried to brea through the Spanggur gap. 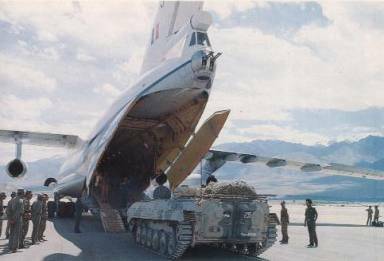 Today the giant IL-76 can haul a BMP-2 to Leh with relative ease. Other Operations : Book Extract "Spies in the Himalayas"
Other Operations : Book Extract "The CIA'S Secret War In Tibet"